Just off Ontario Street a couple of kilomteres south of Distance Runwear is Langara Golf Course and Langara Trail, the 2.7k loop that surrounds it. 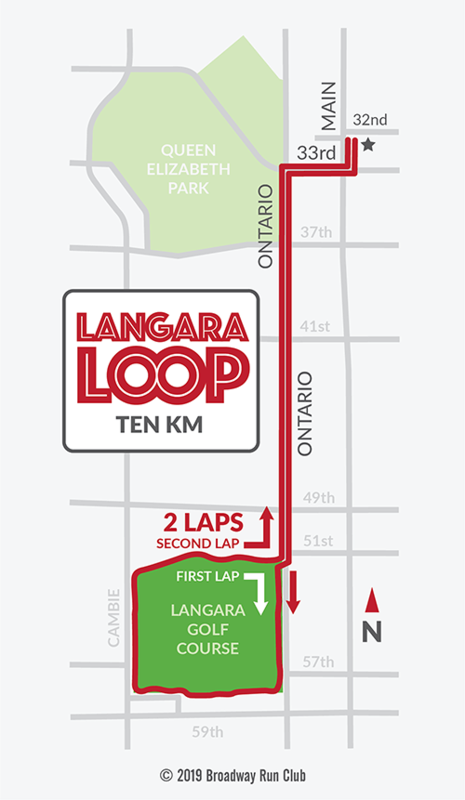 Langara Trail is a runnable, mostly bark mulch and dirt loop between Cambie and Ontario Streets. Large trees buffer the trail from traffic and errant golf balls creating something of an urban trail sanctuary in the middle of the city. 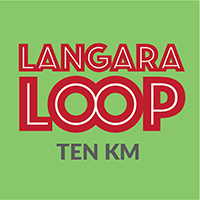 A pair of Langara Loops on the far end of the out-and-back from Distance Runwear at Main Street and 32nd Avenue is just over 10k; the single-loop option will clock in at about 7.5k.